Let’s keep our eyes on the prize and not be distracted. Let us remain focused, not only on surviving the current US administration, but on building the foundation for thriving in the oil-constrained future on the horizon. Let’s ensure that we cover the basics ─access to food and drinkable water as the new US Secretaries of State, Interior, EPA, and DOE facilitate further degradation of the environment and accelerate the frequency of climate change disruptions. We have choices. We can choose to purposefully live into relocalizing food production wherever we are. This is all the more imperative for the most vulnerable and marginalized among us who are scapegoats in an unabashedly, “America First,” world. Global society has crossed the threshold of an existential crisis. The global south ─people of color in particular, walked across that threshold back in the early 1970s. Increased frequency of climate change-induced natural disasters, worsening variability in rainfall patterns, droughts, flooding, and heat stress have plagued Caribbean, Latin American, African, and island nations for over 40 years. With the advent of the new American administration, the flagrant fusion of American corporate and state power will hasten climate change and unfettered resource depletion. We are ALL now racing toward the edge of the cliff! To relocalize production is to grow wings rather than plummet. We have choices. What’s the big deal about relocalization of food production? If corporate food delivery systems were to shut down due to a climate disruption or for any other reason, cities in the United States would have an average of three days of resources available for the sustenance of the population. Most of us are dependent upon an oligarchic corporate infrastructure for our survival. Overspecialization deprives us of core life skills which means that we’re unable to holistically and autonomously take care of our own basic food needs. What Would Food Sovereignty for the Most Vulnerable Look Like? At the time that was an ambitious, even audacious question for allied organizations working under the aegis of the UN International Decade for People of African Descent to ask. The group’s intent is to propel food sovereignty and water access onto the front burner of awareness among the 200,000,000 people in the African Diaspora over the course of the next eight years. 46 million of that 200 million reside in the United States, and the most climate change vulnerable among that group are the Coalition’s specific outreach target. This is particularly alarming for people of color since the new administration cherishes a white nationalist definition of “America.” With more aggressive extraction of fossil fuels, the undoing of environmental protections, and blaming of societal ills on Muslims, immigrants, Latinos, and, “the Blacks,” the handwriting is on the wall. Black land retention and its use for food production in the American southeast and Diaspora countries are the top priorities of the Earthcare Coalition convened by African American representatives of Quaker Earthcare Witness (QEW) to the United Nations and stalwart allies. To that end Coalition members design and promote implementation of cooperative economic models that connect young, returning generation farmers to elder growers. The urgency of reckoning with drought, flooding, increased storm frequency and intensity, population displacement etc., etc. is already upon us. The Earthcare Coalition is thinking through pragmatic, local, actionable responses to food and water resource management that meet the specific needs of people of African descent. African American farmers in the Southeast can anticipate more climate uncertainties and extremes as they struggle to hold on to their birthright land amidst attempted land grabs. The challenge is compounded by the fact that the agencies designated to help Black farmers prepare for the impact of climate change are those which are historically responsible for racial discrimination and disenfranchisement of Black growers. Further, rural poverty and migration from the rural south have eroded the once vibrant African American mutual aid networks. A primary goal that frames the Coalition’s work is the healing of schisms which have divided people of African descent in North and South America, the Caribbean, Europe, and Africa for four hundred years. Centuries of deliberate and methodical fragmentation for profit has scattered people of African descent like seeds across the globe. This systematic division has had both geographical and deep psychological consequences. The vestiges of the latter have perhaps inflicted the worst wounds. In the final analysis it is the quality of our relationships that will get humanity through the eye of the climate change needle. The Coalition’s solutions-driven focus is generating transnational conversations which strengthen bonds among African Americans and their counterparts in the Diaspora to yield food production strategies. Food sovereignty is “the right of people to healthy and culturally-appropriate food produced through ecologically sound and sustainable methods.” The Earthcare Coalition underscores the need for people of African descent to define, own, and manage their own sustainable food and agriculture systems. Events at UN Headquarters and throughout the Diaspora over the course of the decade, through 2024, will punctuate and highlight Afrocentric food production innovation. However, the ongoing bedrock work is the revolutionary-evolutionary act of weaving an international web of interconnectivity among nodes of historically atomized people. The challenges and lessons learned from past Diaspora movements such as Pan-Africanism inform the Coalition’s process. Working with emergent network theory and evolutionary culture-building methods, the Coalition is intentionally cultivating a collaborative-culture. To that end the Coalition has established issue-specific “circles” using Sociocratic governance and decision-making processes. Sociocracy democratizes power and distributes authority while enabling autonomy. As Sociocracy for All founder Jerry Koch-Gonzalez frequently states, sociocracy is a lived process in which the social movement adage –everyone is heard─ is authentic and experienced rather than intellectualized. The Black Belt Justice Center (BBJC), Washington DC is inaugurating the Coalition’s, Land Retention and Use Circle. 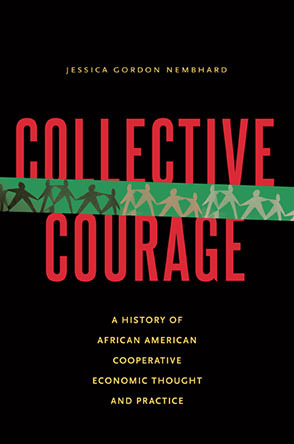 This circle brings together non-governmental organizations (NGOs) in the US, the Caribbean, Latin America and Africa which, like the BBJC, “serve …..farmers, landowners, and communities [of African descent] in efforts to retain and increase landownership; to create sustainable land-based cooperatives and entrepreneurial businesses; and to ensure intergenerational and community wealth.” BBJC activists will serve on the Coalition panel and prepare land retention documentation for the July United Nations event. Tarsha Gary, Houston TX-based chef and founder of the environmental organization, Ecotone, is coalescing a Food Education Circle comprised of Diaspora food historians, educators, and instructor-chefs. This circle works to reconnect African Americans with fresh food consumption, African foodways, and a rich heritage of working with the earth. Other circles coming on stream, e.g. Water Access & Management, and a Growers Collective, will interconnect and inform each other’s process as work on “The Decade” proceeds. Each offers a dimension of the relocalization map for Diaspora food production. Unitarian Universalists Association (UUA), United Nations Office, New York, NY, Unitarian Universalist Service Committee (UUSC), Cambridge, MA, Unitarian Universalist Ministry for Earth & Young Adults for Climate Justice​, Dallas, TX.